Should a Plus-Sized Woman Tailor Her Hairstyle? Plus, where can you find hairstyles for plus-sized women? Can a plus-size woman wear the same hairstyle of a smaller woman? Where can you find a magazine with hairstyles for plus-size women? These are both great questions, and they got me thinking and really paying attention to my surroundings and what is available for plus-size women. As I thumb through magazines, I could not find any plus-size models ... period. As with any haircut, the hairstylist must take into consideration the shape of the client's face and shoulders as well as the length of their neck. When I see a haircut that I think is not appropriate, it is not because the person wearing it is wrong, it is because the cut is working against the shape of the face, the person's height or proportions. 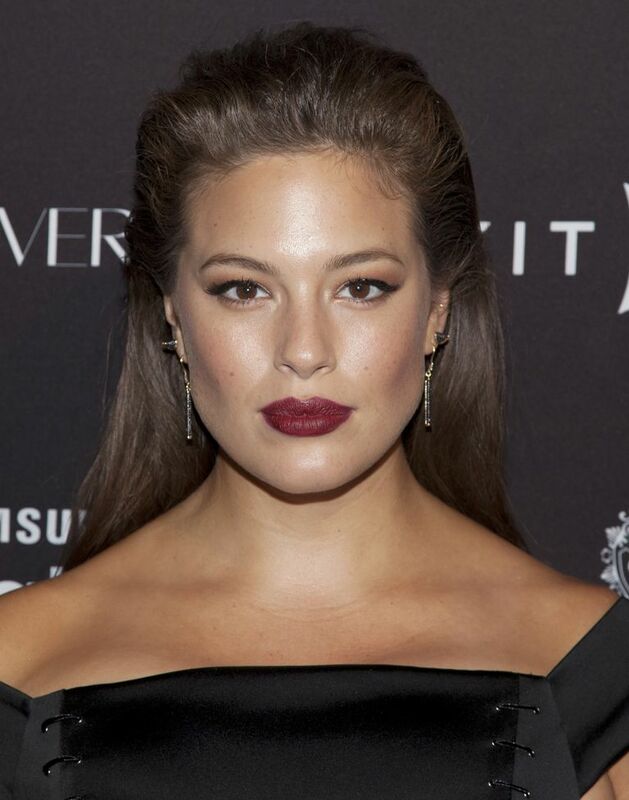 So when styling the hair of a plus-size woman, there are not "special" haircuts, but a style that is suitable with softness where needed and strength in the right areas of the face. Learn what should be taken into consideration when cutting the hair of plus-sized women. If you have a short neck, it's generally considered more flattering to wear your hair longer, at least to the shoulders. Short hair can put on display a shorter neck, whereas longer hair camouflages it. Of course, this advice is only for women concerned about their necks. If you want short hair and you have a short neck, go for it! But for women with shorter necks who are afraid to go short, try a longer bob with soft layers around the face. Another tip is keeping the bob length A-line, so the back is shorter and the front is longer. This allows for movement and showing off more of the neck area. But you don't want to go too dramatic, go for a soft angle. Not all women with round faces have short necks. This is why it is important to understand that your cut will need to be personalized to suit your face, neck and shoulders. Pin-straight hair accentuates a curvy body. It's like an arrow pointing straight down to your hips. If you have curves that you love, flaunt them by wearing your hair straight. If you prefer to balance out your curves, add more body to your hair in the form of waves, curls or an air-dried mussy look that's so in style today. Long, wavy hair so beautifully balances out curves. To begin, start looking at haircuts you like on a person who has a face shape similar to your own. When you find that look in a magazine or online, cut out the picture or download the image and print it out. Take the photo of the new look to your stylist on your next visit. While sitting in your stylist's chair, discuss the image with your stylist before they begin your cut. Explain why you like the cut. Ensure there are similarities in the shape of the face and shoulders with your own features and be sure there is agreement that the haircut will look equally as good on you as in the picture. Finally, be prepared for any reasons why the look might not work as well for you as in the image.